In my continuing efforts to rid myself of this cold, today I continue my bombardment of vegetables. This soup is 2 ounces of fettuccine plus carrots, celery, green onions, and cabbage cut in the shape of fettuccine. It’s all swimming in a homemade vegetable stock and finished with some parsley and a drizzle of olive oil. I served this to myself with a glass of V8. This cold doesn’t stand a chance! 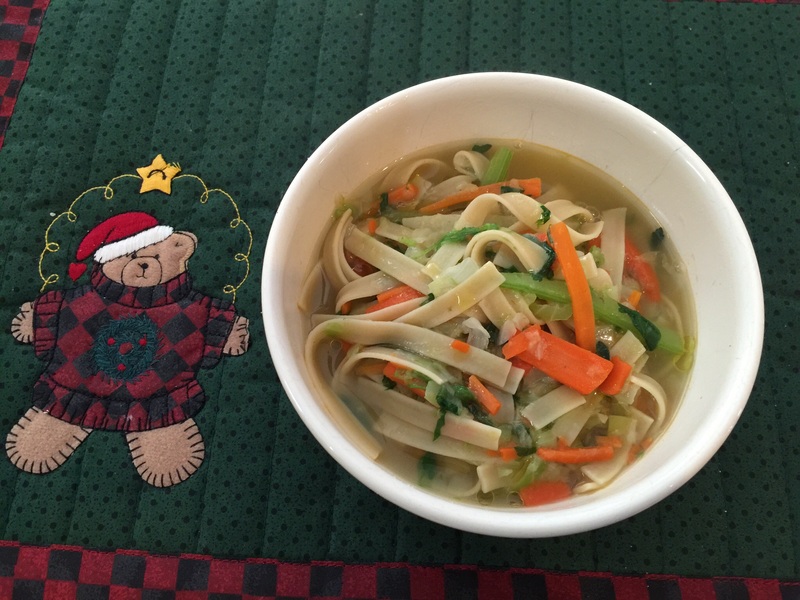 This entry was posted in Vegan, Vegetarian and tagged cabbage, fettuccine, Vegan, vegetarian. Bookmark the permalink.